The Page 99 Test: Benjamin N. Lawrance's "Amistad’s Orphans"
Benjamin N. Lawrance is the Hon. Barber B. Conable Jr. Endowed Chair in International Studies at the Rochester Institute of Technology. The page 99 test works quite well for Amistad’s Orphans. Page 99, from Chapter Three, describes the extent of slavery in the Galinhas region of Sierra Leone, and then explores one of the two primary forms of child enslavement in the period, namely kidnapping and violent seizure. The significance of this page, and this chapter, for the book, is compelling. Amistad’s orphans experienced a wide spectrum of acts of enslavement spanning a decade, beginning with the first instance in the Galinhas region and its hinterland and continuing with their sale to European slave traders, their embarkation across the Atlantic, and concluding in mid nineteenth-century Cuba, their ostensible destination and intended final slavery context. The book seeks to demonstrate that a child’s experience of enslavement is qualitatively different from that of an adult for a number of reasons, not least of which is that even when ostensibly free, as children they remained dependents and wards of others. The stories in the book, and in particular at p.99, show that the paths into enslavement for children were often narrower than for adults, particularly during the period of the illegal slave trade between Galinhas and Cuba. The central argument of this chapter is that a myth of “free-born” status originating with the adults clouds our understanding of the children’s experience. A focus on child slavery muddies scholarly debates about African slavery, which draws heavily on adult experiences. The context in which the slave status of Amistad’s orphans was embedded was far more complex than American historiography has recognized. Although freedom was a powerful cry in the republics of the Western Hemisphere, from the perspective of an enslaved African child in a Galinhas barracoon in 1839, an assertion of free-born ancestry would likely have generated little interest on the part of the slaveholder or his associates. Before their temporary incarceration in a Lomboko barracoon, all the survivors of La Amistad had been enslaved, via one mechanism or another, consistent with African practices in the Galinhas region, ranging from warfare and debt seizure to kidnapping or punishment for a crime. The vast majority of slaves transported across the Atlantic, before and during the nineteenth century, was enslaved as a result of what Lovejoy described as the massive “intensification of political violence,” which in turn gave rise to a “spectacular surge” in the capacity to enslave people. Page 99 provides an opening into a central theme, namely the heightening vulnerability of children. Children in Galinhas and its hinterland in the early to mid-nineteenth century were extremely vulnerable to enslavement and transportation across the Atlantic to Cuba. First, consistent with the widespread socioeconomic system in operation, as very junior members of lineages, children were highly susceptible to the operationalization of rights-in-persons, wherein claims on their labor, their future labor capacity, or other valuations made them expendable. Second, in addition to the illicit transatlantic trade, there were highly buoyant shorter- and longer-distance trade routes throughout the region, wherein children were increasingly desirable mechanisms facilitating exchange, credit accumulation, or debt obligation. Third, as smaller, lighter, weaker individuals, children were more susceptible to violent seizure, kidnapping, and capture in conflict, and later transportation to the coast. And fourth, the environment and geography of Galinhas provided an ideal site for the relocation and continuation of transatlantic trade in the face of attempts to end it by the Royal Navy, enabling traders to tailor their barracoons to shifting demands in Cuba. 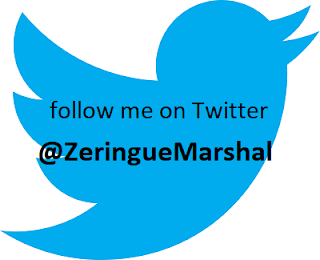 I view the title of my book, Amistad’s Orphans, as is provocation to rethink the relationships, strategies, and experiences of slave children whose identities are too often determined primarily by their status as slaves. In order to uncover the lived experience of children more broadly, six lives are united into one imagined slave ship family. The six children shared many experiences, first and foremost the process of being bereft of family by their enslavement as children. As an analytical term—a dynamic definition, if you like—“orphan” emerges from actively and intentionally bringing into conversation the experiential insights bequeathed by six remarkable historical survivors: Mar’gru, Kag’ne, Te’me, Ka’le, Covey, and Antonio. My book is an experiment in what Rebecca Scott and Jean Hébrard have described as “micro-history in motion,” insofar as a carefully chosen event, or set of personalities viewed at the ground level, reveals broader regional dimensions. At its most expansive, Amistad’s Orphans demonstrates that when our attention is directed away from adults and toward the qualitatively different experiences of African slave children, a prevailing wisdom about the nineteenth century begins to lose its luster. The details of the children’s lives, contextualized with a wide spectrum of diverse evidence from the epoch, support two general, mutually situated, observations. Not only did slave traders actively seek children in increasing numbers during this period, but also child enslavement provided both slave producers and consumers with specific capacities not afforded by adult slaves to avoid detection and continue their illicit economies. Dispensing with the misidentification of the epoch as an age of abolition reveals the early nineteenth century as the beginning of an age of child enslavement. Viewed in this light, p.99 is right at the core of the book. 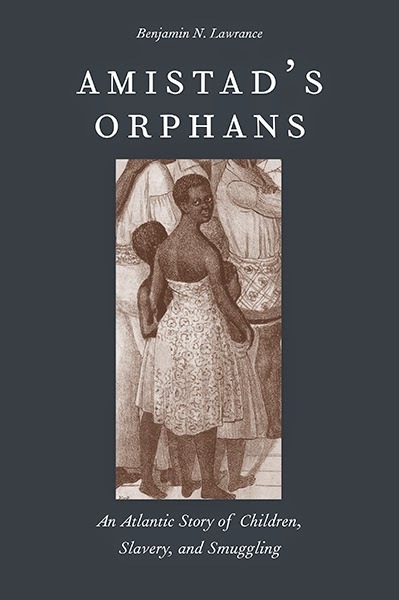 Learn more about Amistad's Orphans at the Yale University Press website.